the all-new 2019 toyota avalon on sale now has just earned a 2018 top safety pick plus award from the insurance institute for highway safety. the avalon aced nearly every test iihs performed, save for the passenger-side small overlap front crash test, for which it received the second-highest rating. that new passenger-side small overlap test, which approximates the effect of a car striking a tree or utility pole, sometimes trips up vehicles and prevents qualification for the top safety pick plus designation; if not there, vehicles are also frequently let down by headlight ratings. the avalon, however — in limited and touring trim configurations — received a good rating for its led projector headlights. in xle and xse configurations, the avalon's headlights are led reflectors; those were scored as poor, iihs' lowest-possible rating. the avalon's front crash prevention technology received iihs' highest rating of superior. 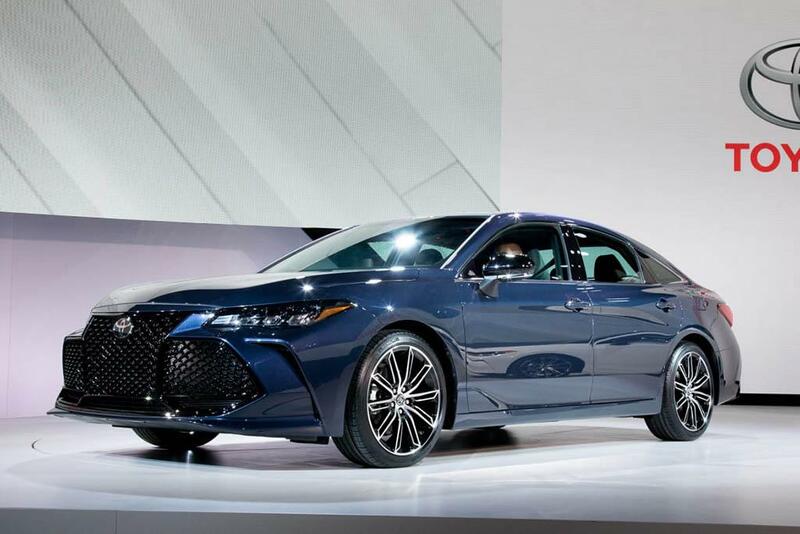 notably, this is across all trim levels as the toyota safety sense suite of active safety features is standard for all avalon models. in other vehicles, this rating, like the headlight rating, is often trim-level dependent. to qualify for a top safety pick plus award, a vehicle must score good ratings in five crash tests — driver-side small overlap front, moderate overlap front, side, roof strength and head-restraint evaluations — as well as receive a good headlight rating, acceptable or good scores in the passenger-side small overlap front crash test, and advanced or superior ratings in front crash prevention testing. a headlight score of acceptable will knock a vehicle down to top safety pick; the passenger-side small overlap test results, if available, are not considered as part of that award. the avalon stands alone in its large-car class as the only top safety pick plus. only the kia cadenza, rated a top safety pick, is close; it trails in its headlight rating but did receive a good score in passenger-side small overlap crash testing. all other models in the class received poor headlight ratings or haven't yet completed headlight testing; only the kia and toyota have been evaluated in the passenger-side small overlap test.